Yesterday my niece & i went on a little road-trip to two nearby towns for a bit of thrift shopping. Small country town op-shops always have some lovely treasures, and yesterday did not disappoint. 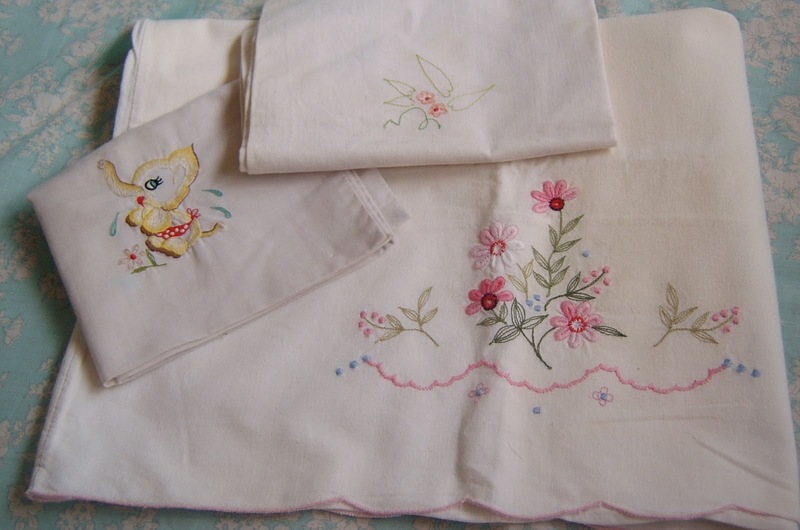 Among my favourites were three very pretty embroidered pillowcases (two cot sized), a vintage wooden recipe box & a bag of vintage white buttons. 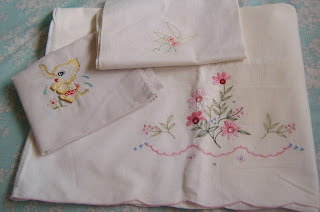 Can you believe that i left one of the shops with the recipe box & two of the pillowcases & only paid $1.30? I love those moments! Check out Her Library Adventures for more lovely finds. Thanks so much for playing along! I just love country town op shops too. So much fun! 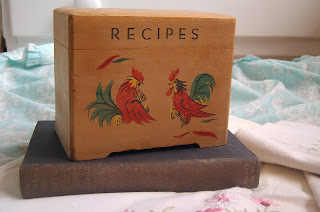 nice finds, the Elephant hanky is sweet but the recipe box is my favorite for sure. Wow! Now that's a bargain. Great finds, that recipe box is fab.